ST CHARLES, Mo. 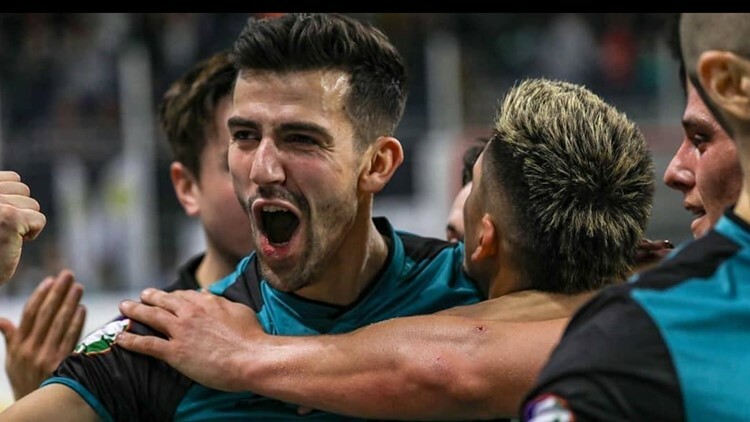 — The St. Louis Ambush scraped and clawed their way to a 10-8 victory Saturday night at the Family Arena in a game that was at times physical, at times intense, but from start to finish; exciting. The win improved the Ambush record to 8-8, while Kansas City dropped to 7-6. The Ambush fired the first shots, scoring twice within the first six minutes of the game. Zach Reget and Felipe produced an early 2-0 lead. Corey Adamson gave the home team a 3-0 lead when he took a long pass from Justin Stinson, danced around Comets goalkeeper Max Saxby and put the ball in the goal. The Comets answered in the final minute of the first quarter when Leo Gibson was able to beat Ambush goalkeeper Paulo, giving the Ambush a 3-1 lead as the opening frame expired. The second quarter remained scoreless until the final minute when Bryan Perez found the back of the net for the Comets to make it a one-goal (3-2) game at halftime. The Ambush widened the scoring gap with three consecutive goals in the third quarter. Lucas Almeida scored, then assisted on a power-play goal by Stefan St. Louis, then assisted again when he passed to Justin Stinson, who executed a beautiful upper ninety shot to make the score 6-2. Kansas City responded with the next three goals, courtesy of Lucas Rodriguez, James Togbah and Robert Palmer, to once again make it a one-goal game (6-5) heading into the final stanza. The Comets drew even (6-6) in the first minute of the fourth period when Rodriguez tallied his second of the match. The Ambush regained the lead when Mario Marcos placed a difficult shot through a cluster of players in front of the goal. The Ambush bounced back with the next two when Stinson nailed his second of the contest, followed by a rare short-handed goal by Magui to give the Ambush a 9-6 advantage. Kansas City was down but not out, as their leading scorer, Gibson, came back with two more tallies to close the gap to 9-8. With the sixth attacker in play for the Comets, Stinson completed the hat trick with a shot from near the yellow line to slam the door on the Comets with three seconds left on the clock. The Ambush get a week off before the next home game when they welcome the Orlando SeaWolves Friday, February 22 at 7:35 p.m. at the Family Arena. For fans unable to catch any game in person, all MASL games are webcast live at masl.tv. Group and single game tickets are on sale for all Ambush home games. For more information, call the Ambush office at 636-477-6363. Keep up to date on all Ambush news by following the official website, stlambush.com and on Facebook and Twitter.